It's not only an iconic joke from Arrested Development Season 1 but one of at least a dozen fantastic Easter eggs and callbacks sprinkled throughout the final season of the absurd comedy. 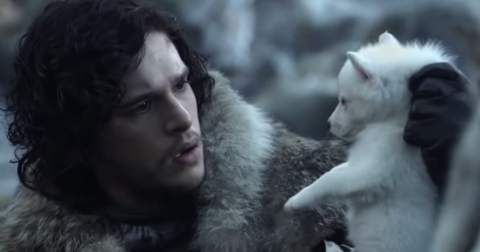 If you're bingeing Season 5 right now, you might miss some of the hilarious references embedded in the last few episodes of the finale season. Here are a few of the best hidden gems we spotted — but be warned, there are also some spoilers. 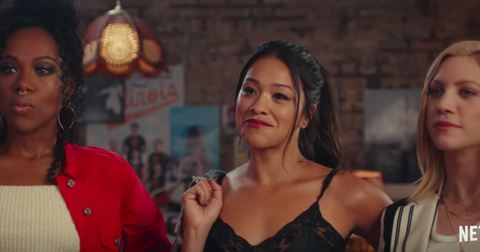 Throughout AD Season 1, Michael observes his parents and every one of his siblings imitate a chicken at some point, finally inspiring him to exclaim, "Has anyone in this family ever seen a chicken?!" But we never got to see Michael's impression of a chicken until the very last episode... and it turned out to be the repressed memory from Cinco de Quatro that had left him with a deep feeling of shame. 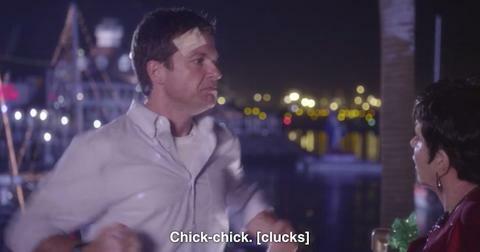 Seems, like the rest of the Bluths, he too is terrible at clucking. One of the best running gags in all of Season 1 was the constant demands by prison guards not to touch the prisoner, George Bluth. In a hilarious callback to that gag, Michael and Buster are chastened by a guard while in a conference about Buster's defense. 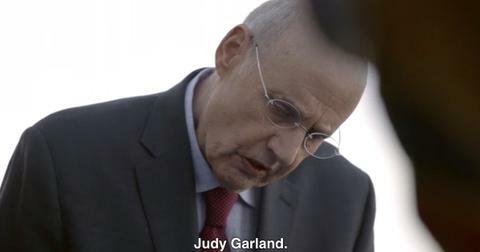 We only get the briefest glimpses of Lucille II in this season, in flashback form, but that didn't stop the writers from hammering down the fact that the person they found in GOB's wall was almost certainly Lucille Austero, played throughout the series by Liza Minnelli. First, George remarked upon the corpse's resemblance to Judy Garland. If you weren't sold on the fact that Lucille II was really dead and encased in that cement, a cop on the scene remarked that, whoever the person was in life, they're "the happiest corpse I've ever seen." This is a line in the title song from Cabaret — the film that earned Liza her Oscar. To punctuate the joke, a few notes from the musical play him out. 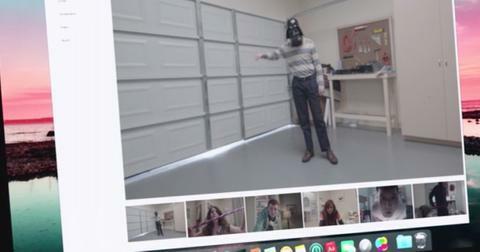 In S5 E9, George Michael is receiving threats from Anonymous, and it's revealed that they have seen the Star Wars Kid video from Season 2. It's a hilarious callback to one of the most iconic moments from earlier seasons. 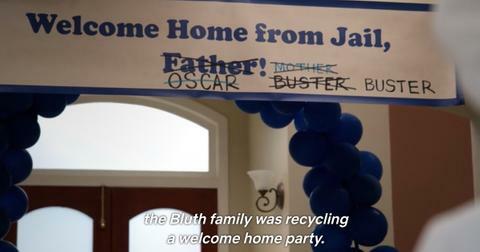 For how frivolously the Bluths can spend money, it's kind of hilarious how much mileage they've gotten out of this one party banner. Almost as hilarious as how often members of this family find themselves in trouble with the law. 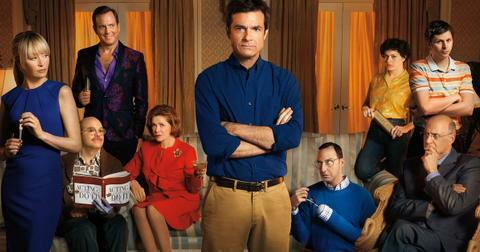 Back in Season 2, Tobias began dressing as "Mrs. Featherbottom" as a way to spend time with Maeby after Lindsay kicked him out of the house. The obvious homage to Mrs. Doubtfire made a reappearance in s5, E11: "Chain Migration". This is probably my favorite joke of all time from Season 1, yet it's been so long, Michael doesn't even remember the origins by S5 E12 — so let me remind you. 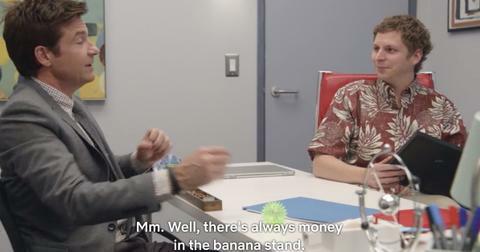 Back at the start, George was always telling his son that no matter what happens "there's always money in the banana stand." At some point, Michael burns it down, only to find out his dad meant that very literally, because he had lined the walls with a quarter of a million dollars in cash. Here's a fun easter egg: In S5 E15, Lindsay is singing "Edge of Seventeen" by Stevie Nicks on what is supposed to be her 14th birthday (as well as Michael's). However, one of the season's biggest reveals is that Lindsay was adopted and is actually Lucille's half-sister, not her daughter. She's also not the same age as Michael but three years older, meaning while she was singing that song she really was on "the edge of seventeen." 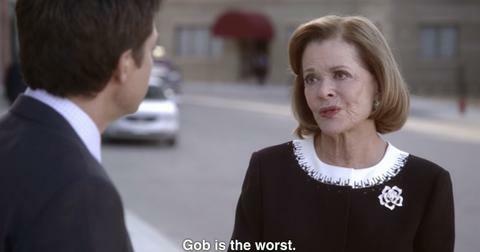 "I don't care for GOB." The final episode features this hilarious callback to when Lucille was revealed confessing her feelings about her eldest son. 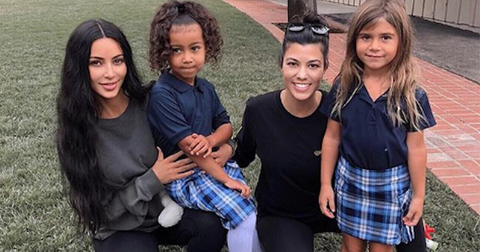 Even though she says she loves all her children equally, we know better.